This had to be my first marathon of the year as I kicked start with Mizuno Ekiden Run that happened last Saturday on 18 July 2015, at The Meadows in Gardens By The Bay. It wasn’t just a solo run but a team run where a team of four is to complete a full marathon of 42.195 KM. 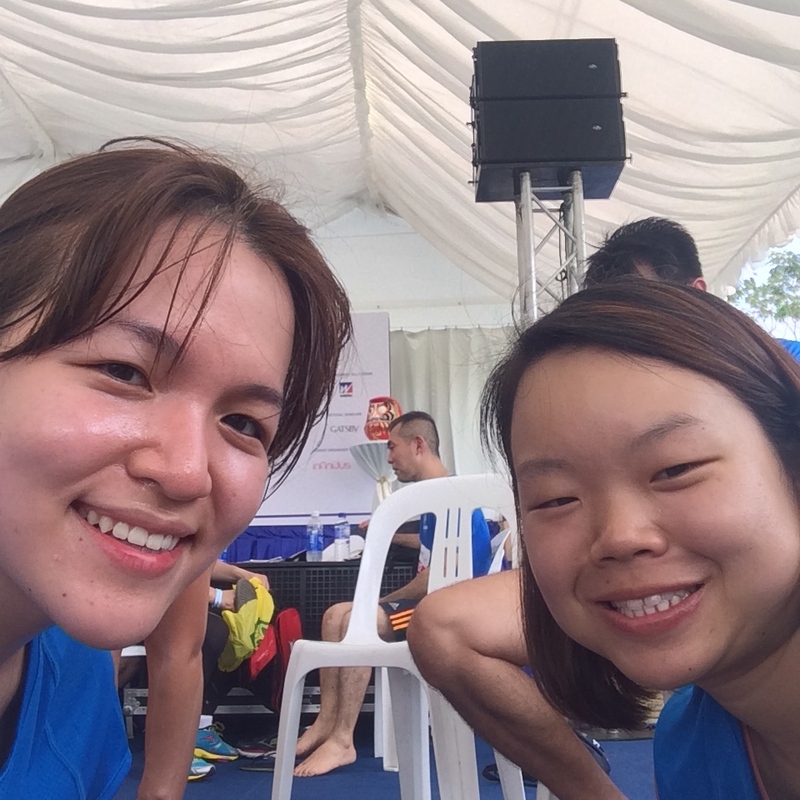 It didn’t take too long as I gather my good pal Wynne and fitness blogger friend, Tracy who pulled along her friend, Jia Hui to race as a team. Each of us would run approximately 10 KM each, taking turns to run across Gardens by The Bay and Marina Barrage. Instead of passing batons, we passed the sash from one runner to the next. What’s so different about this run is that all of us are dependent on one another. This isn’t just a solo game or thing but a game that involves teamwork and perseverance. Man, it was pretty stress! Not forgetting the fact that Wynne and I failed to train for the marathon a day before. Should we have set aside some time for some training and morning runs, our timing could have been better. So I thought I still had the stamina to run since the last 10K I completed in December last year but I guess I was less competent this time round as I felt out of breath towards the last leg of the race. But to be really honest, this race was pretty challenging especially at the part where we ran up the slopes at Marina Barrage’s roundabout. That was a killer because my speed took a dip. There were many interesting fringe activities and booths selling Japanese food at the Japanese themed style Matsuri race village but we didn’t get to enjoy much of it as some of our team mates were running. But I was glad that I didn’t give up though there were some points where there are opportunities to ‘cheat’. I continued running all the way non-stop even at the hydration points. I was assigned to be the second runner of the team. The sun was beating down on us like crazy! It was so hot and I could feel my scalp was on fire literally. Wish I could fuel myself immediately with some fruits like bananas! But we were only given a pack of Weinder Energy Drink Jelly. It didn’t go very well on my throat except that it is cooling to rub it against my face. I managed to finish my race within 1hr 20 min which was my estimated timing. Now, I am more motivated to hit the target of 1 hr 10 minutes if possible. We met Tracy and Jiahui at City Hall MRT to collect our medals! 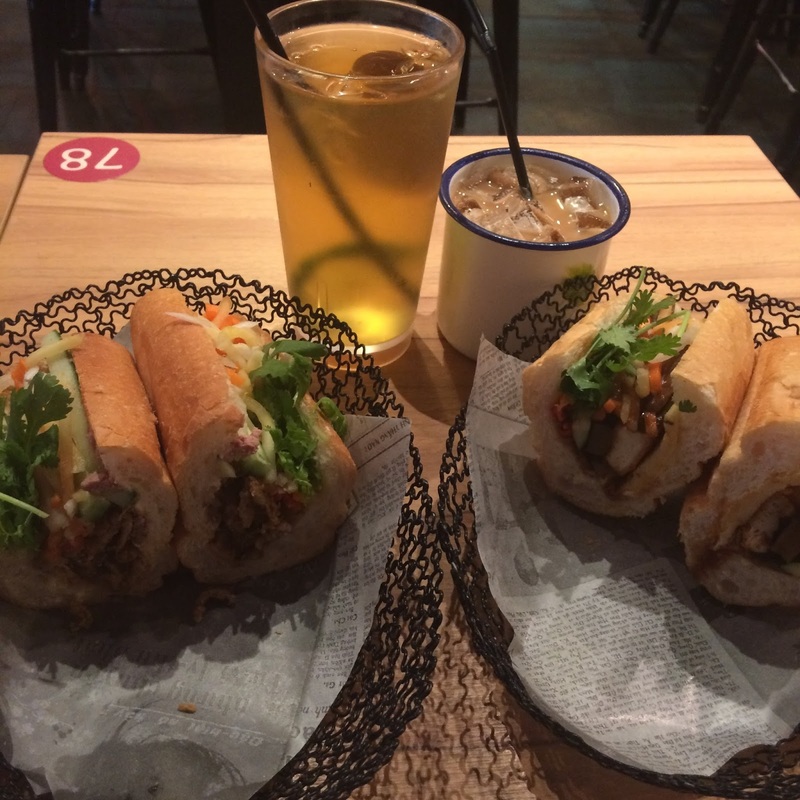 We went to fuel up our bodies with Viet sandwiches from Nam Nam! Lemongrass tofu sandwich … all the way!